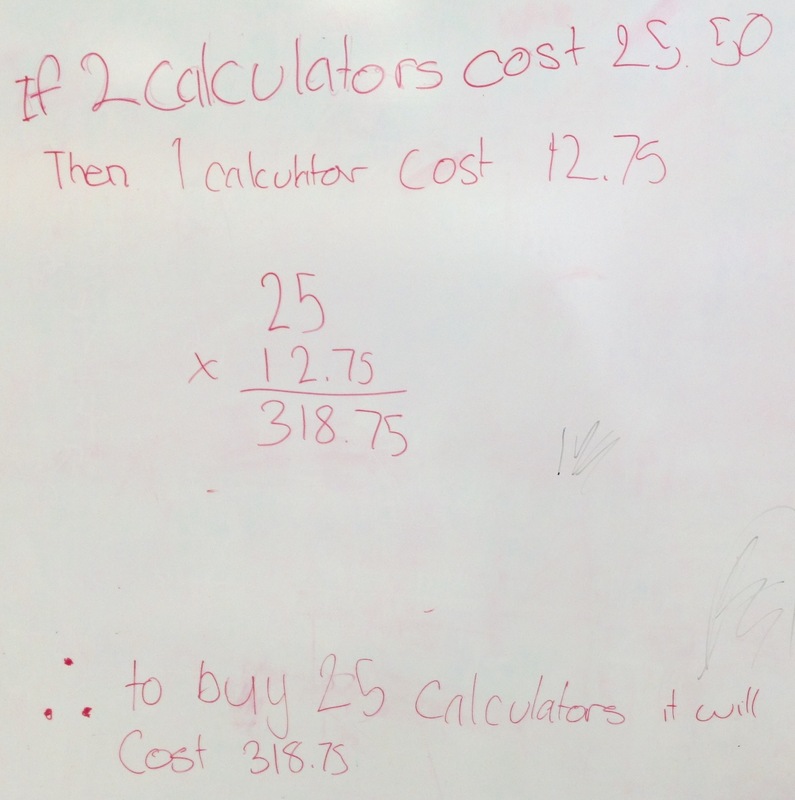 I had to use the Pear Deck dashboard to hide some responses that involved calculating the price per calculator as this was part of solving the later problem. 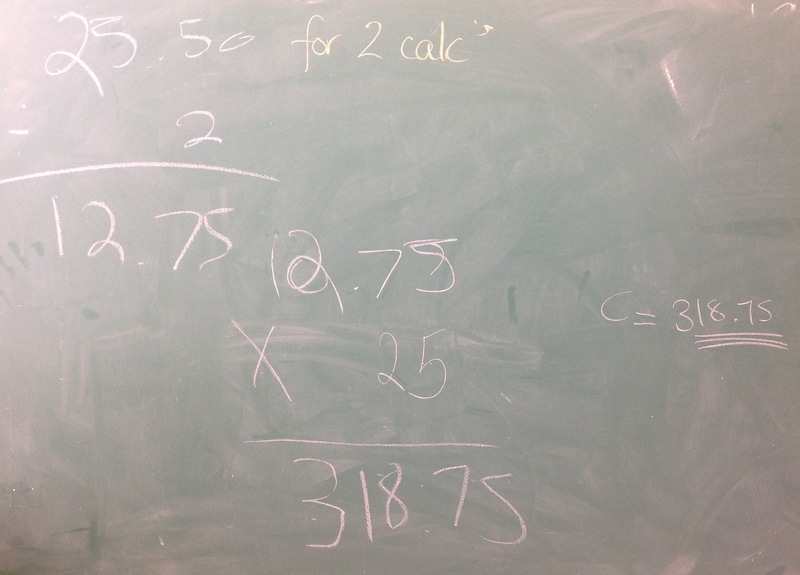 I suppose I could have left them up, but I wanted to leave the calculating part until later when students were in their groups. 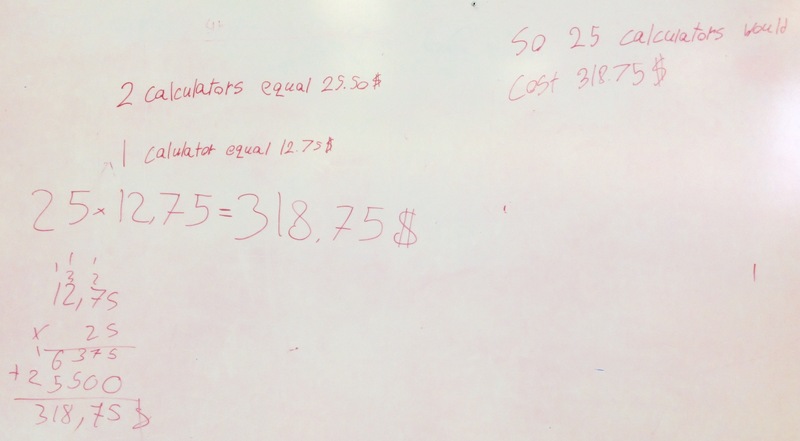 How much would it cost to buy a class set of 25 calculators? You can find the Pear Deck slideshow in this folder. Also in the folder is a follow up slideshow exploring the concept of Direct Variation. What do you notice (facts)? What do you wonder (Q’s)? there more than 1 cup. why do you have only 3 chairs? 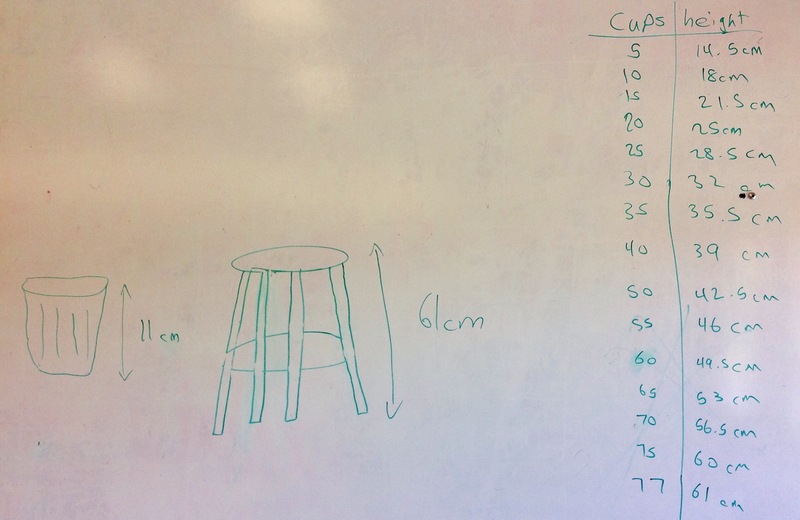 Stool and cups How many cups we need to put together so that they have the same height with the stool? 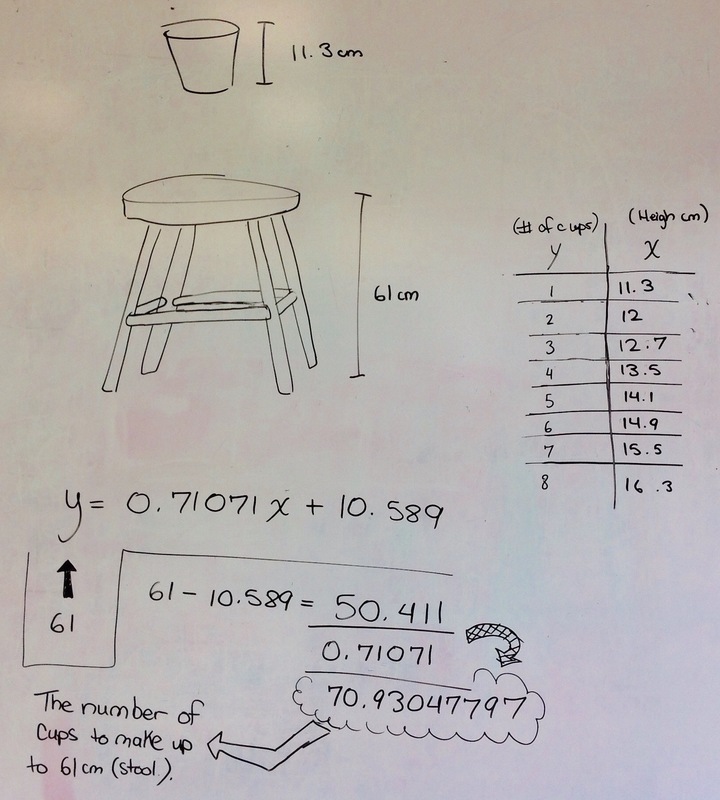 – There are a different number of cups in each picture. 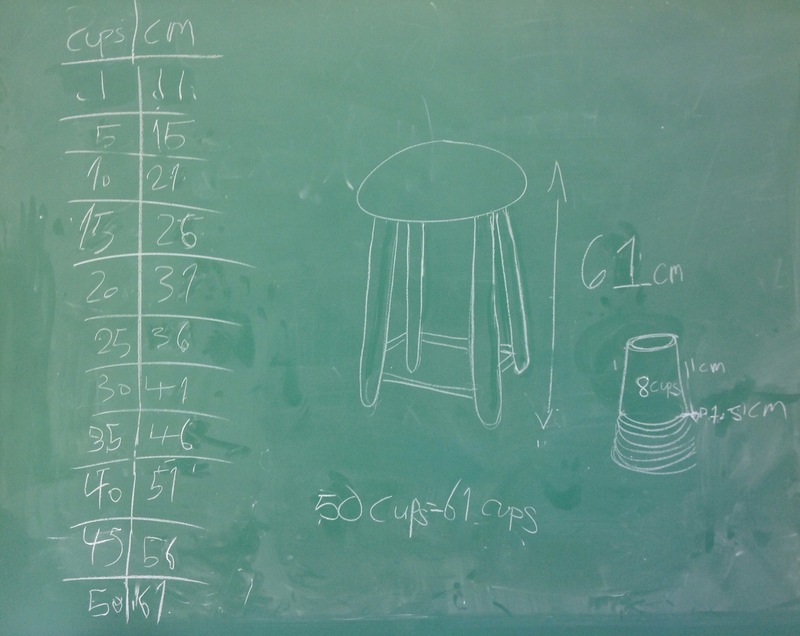 – The stool is much taller than the stacked cups. 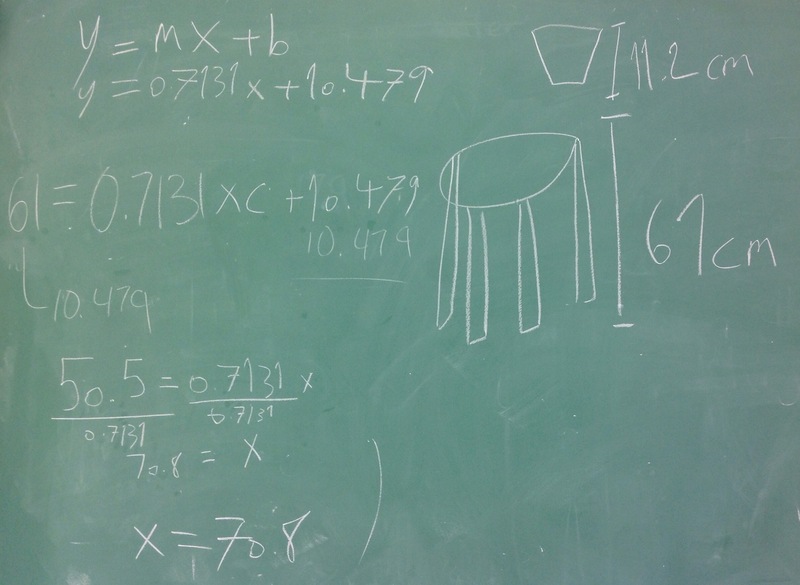 – The only thing that changed is the number of cups – How many cups will it take to stack it as high as the stool? cups what is the volume of each cups? 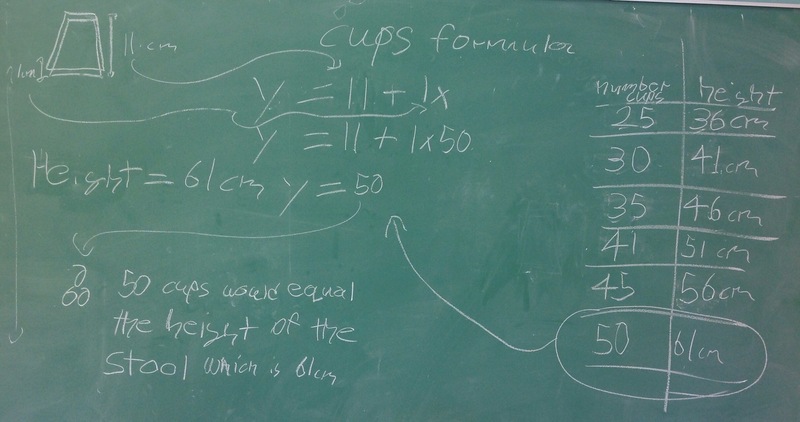 We stacked the cups as a group next to the school and the actual answer was 73! 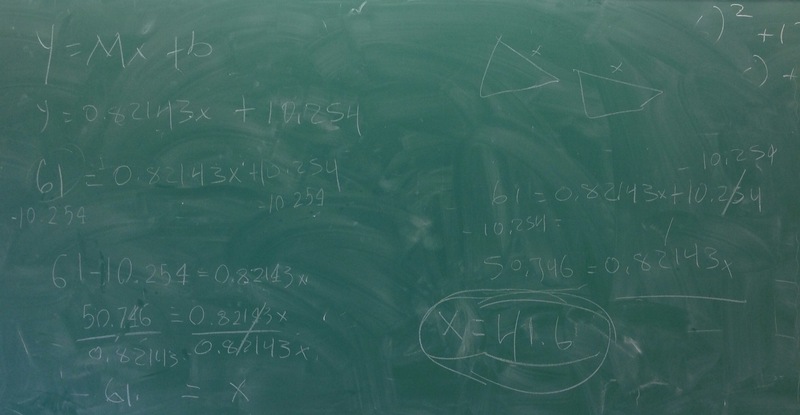 We discussed possible reasons for differences between our first answers, our answers after using Desmos & the real answer. The entire activity is available here. This activity comes from the awesome Michael Fenton. He also has a Desmos version of it which I posted on my website so that any absent students could do that version of the activity at home. 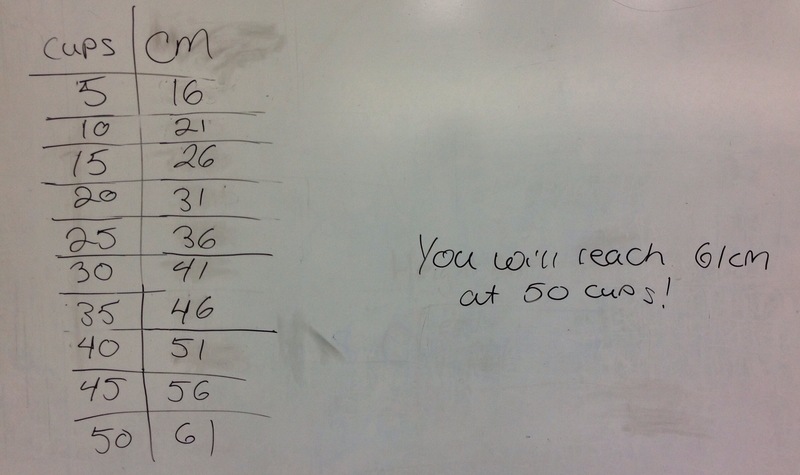 They went to their boards & solved. 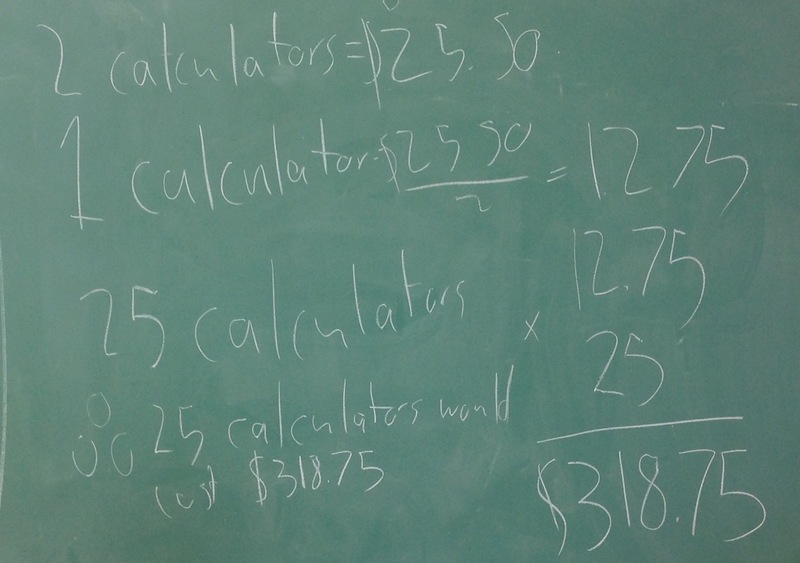 Some groups counted up the entire way using a table of values: Other groups determined a rate of charging that they used to multiply by the % charge left to go: These two groups above had some guidance along the way from me in terms of questioning the values they picked for the change in charge and the change in time; both groups reworked their solution at least once. 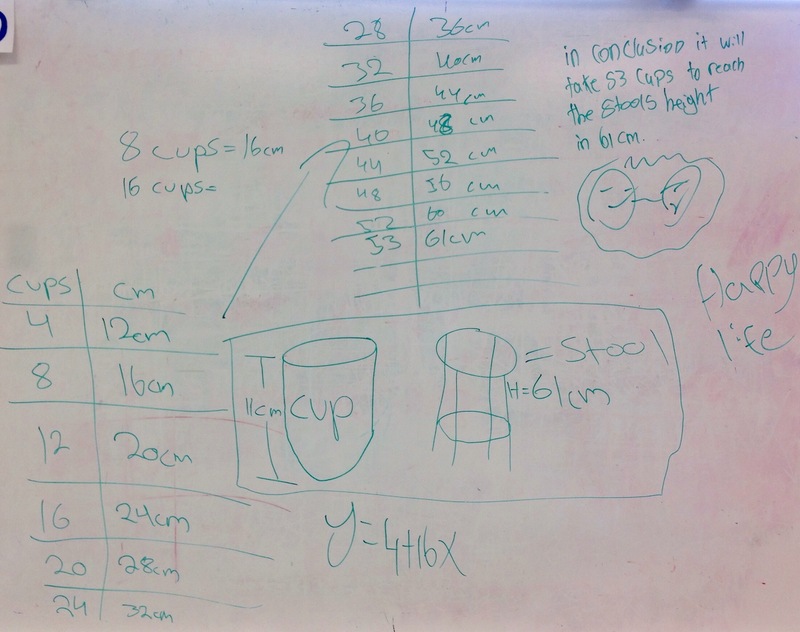 One group, with help from a discussion with me, created a proportion: This group had the proportion idea on their own but needed some guidance in how to set it up properly. 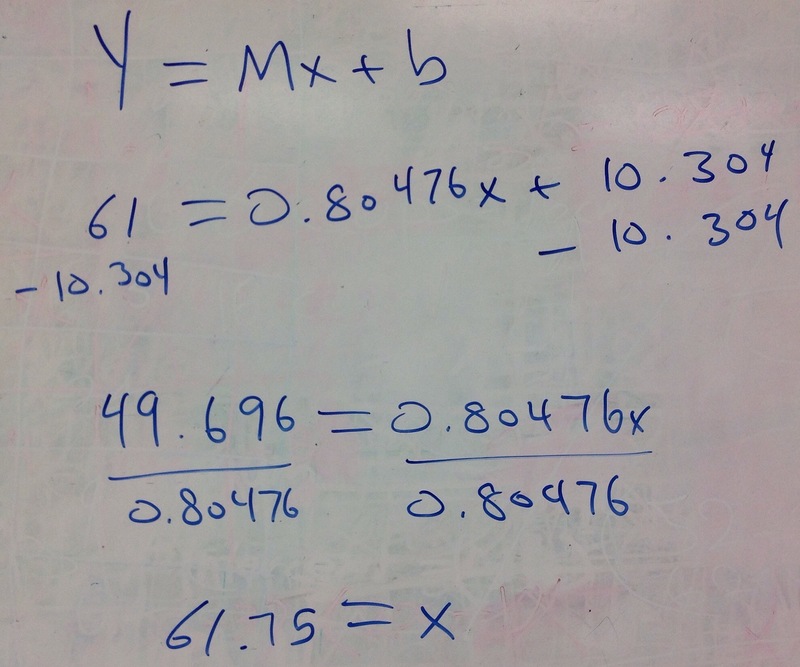 Answer reveal: Michael does a great job of breaking down why the actual answer is so different from the models my students made here on his original blog post. 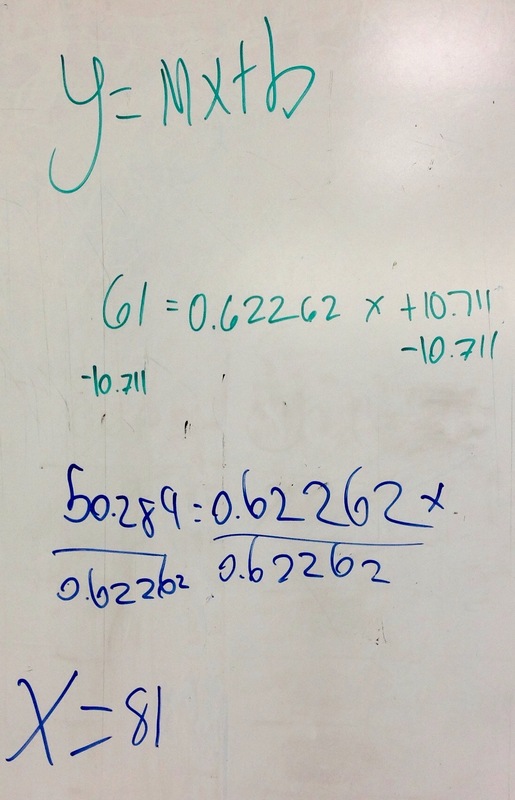 The following day we worked through this handout which forced them to create a graph & determine an equation for the relation. And, as always, here is the folder with all the materials for this activity.